50 young hopefuls from as far afield as Falmouth and Southampton descended on the Victoria Snooker Centre, Plymouth to compete in the 3rd annual Bronze Waistcoat Finals Day and chance their arm at wining the coveted title of West of England Billiards & Snooker Foundation Bronze Waistcoat Champion 2008. After some 156 frames of snooker Adam Gallen (Exeter) emerged victorious defeating the current holder and hotly tipped favourite, Jake Stewart (Redruth) 2-1 in a close fought final. The day started out with four groups of six qualifiers from Exeter, Plymouth, Redruth & Falmouth. In group A of the round robin stages the competition proved to be a tight finish between Cody Hall (Plymouth) who topped the group on 9 points, Matt Baker (Exeter) and Adam Lewin (Plymouth) who could only be separated by frame points count back. Fourth & fifth place was also close between Daniel Watson (Falmouth) and Aiden Johns (Redruth). Arguably the strongest group B proved a breeze for Stewart making breaks of 33,30,30,26 & 24, dropping just one frame against the talented youngster from Southampton, James Bolton. Bolton finished in second place ahead of Michael Rogers (Taunton) who made a 35 clearance. Michael Lloyd (Plymouth) finished in fourth place, either of these four players capable of winning the competition. Just 1 point separated the undefeated Haydon Pinhey (Plymouth) and last years runner-up Will Blackmore (Exeter). These two qualified with ease from group C. Group D was another group with talented players. Eventual winner Gallen topped the group with one frame loss against Daniel Grenney (Plymouth). Jamie Edwards (Redruth) finished in second place edging out Zac Lawson (Falmouth) by just two points. The quarter finals started off with a classic between two young talented adversaries Pinhey and Bolton. With the first two frames being shared it was set up nicely for a tight finish. Bolton dug the deepest to pull through and book his place in the semi-finals. In the second quarter final Gallen took the first frame comfortably but had to steal the second on the black to win 2-0. In the next quarter final match it was a repeat of last years final between Stewart and Blackmore and once again Stewart came through but not before much improved Blackmore had taken him to the final frame. Blackmore was just one good pot on the green away from a big upset, before an unusually nervous Stewart stumbled over the line and into the semis. The last of the quarters saw Baker raise his potting game to beat Edwards 2-1. In first in the semi-finals Stewart made light work of Baker winning 2-0. However, in the other semi-final Bolton and Gallen fought tooth and nail before Gallen eventually won 2-1. The final proved to be a match fitting for a regional final between arguably the best two players on the day. With the first two frames being shared it was Gallen that looked the more focused as he had been all day. In the closing stages there were good safety exchanges from both players before Gallen pulled out a couple of superb pots to take the initiative. What chances Stewart had, he was found wanting for once as Gallen stepped up to the plate to win an exciting final 2-1. A Plate tournament was run for those that failed to qualify for the main tournament. The final was fought out between two Plymouth players. Daniel Legassick and Curtis Campbell. Legassick wining through 2-0. The tournament was sponsored by GMB Health Services Union and the prizes where presented by Plymouth Snooker Stalwart Ron Stott. Roger Cole (WEBSF Champion) said “It is a fitting gesture in Ron’s retirement year to invite him along to present this years prizes. He has been instrumental in his encouragement and support of youth snooker for the past 26 years in his role as Plymouth & District Billiards & Snooker League Treasurer & Secretary. 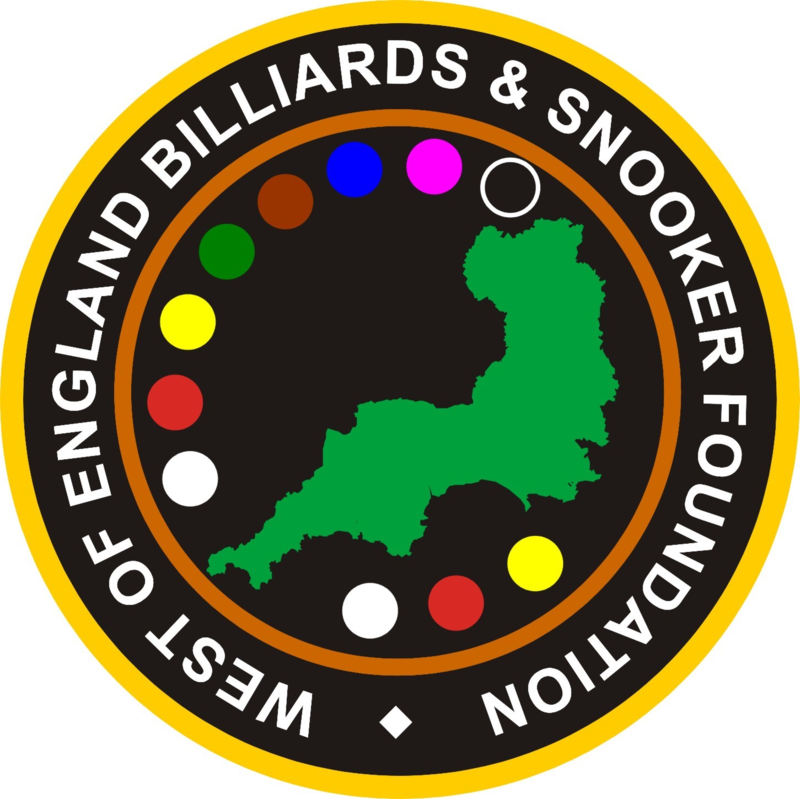 We hope to continue with his good work, raising the profile of grass roots snooker thus providing alternatives and opportunities for the youth in the region”.